Nemean Solutions is looking for great talent that is ready for new experiences, better pay, better benefits, and being part of an exciting growing company. 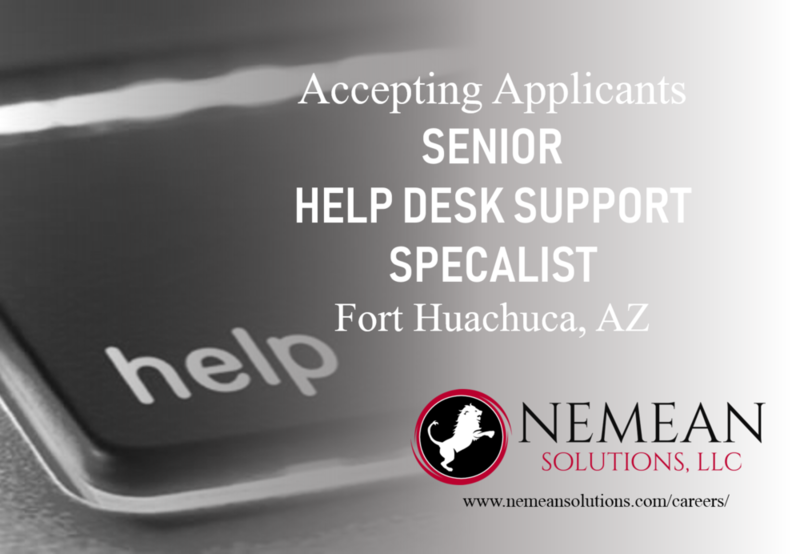 We are offering contingent positions to qualified candidates for Help Desk Support Specialists (Senior Level) for an upcoming contract. Ability to support critical shift work year around. IATII, IT II, with CE certifications in either Windows Server, VMware, SharePoint, or similar technology. Manage the functionality and efficiency of a computer groups operating on one or more operating systems. Maintains the integrity and security of severs, physical office location, and systems. Establish system and service accounts. Process, track, and manage account documents. Track hardware and software, coordinate installation and provide backup recovery. Develop and monitor policies and standards for computer resource allocation. Coordinate and participate in meetings and professional briefings (as requested). Provide advice and training for end-users. Maintain current knowledge of assigned relevant technologies. Participate in special projects (as requested). Answering phones for Tier 1 and Triage support. Nemean Solutions is a certified Service-Disabled Veteran-Owned Small Business (SDVOSB) headquartered in Sierra Vista, AZ and near the customer location. You will have direct access to the corporate leadership and will have our full support in accomplishing this important mission for our customer. We are an equal opportunity employer and committed to providing a professional and safe work environment, with a wonderful team. We hope you join us and be part of the pride. Nemean Solutions is an equal opportunity provider. 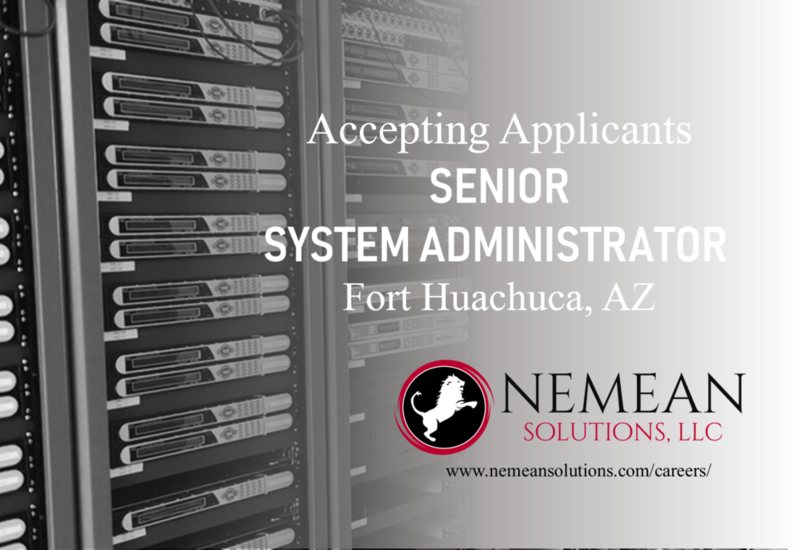 We are offering contingent positions to qualified candidates for System Administrators (Senior Level) for an upcoming contract. 8 Years of directly related experience in systems administration and analysis. Establish administrator and service accounts. Provide recommendations for hardware and software purchases, coordinate installation and provide backup recovery. Develop and monitor policies and standards for computing resource allocations. Ability to provide programming support in administrative languages. Provide guidance and mentoring/leadership to less-experienced team members. Nemean Solutions is an equal opportunity employer. Nemean Solutions is looking for talented computer application developers for Fort Belvoir , VA. Great positions, great salaries, with a great company! Must have TS/SCI Clearance, Security + certification, and a computing environment (CE) certification. Willing to negotiate to find the perfect candidates. Researches, designs, develops and/or modifies enterprise-wide systems and/or applications software. Must be experienced in C#.NET and ASP.NET. 1. Assists in the design and coding of software product components, units, and modules according to detailed specifications. 2. Participates in the design, coding, testing, and debugging of new software or enhancing existing software. 3. Participates in the analysis and development of test plans. 4. Analyzes test results and recommends corrections to more experienced software engineers. 5. Participates in the writing and updating of technical documentation such as user manuals, system documentation, and training materials. 6. Participates in systems modeling, simulation and analysis. 7. Troubleshoots problems and provides customer support for software operating system and application issues. 9. Participates in special projects as assigned. 0-2 years of related software development experience. Nemean Solutions is a growing, niche technology and services provider for the US government. We take great PRIDE in employing and caring for world-class team members. As a smaller, privately-owned company we specialize in catering to our workforce, which are talented, trusted and empowered. 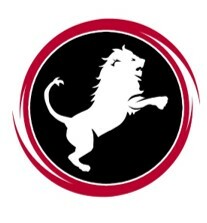 Join the PRIDE today! Nemean Solutions is an equal opportunity employer and will ensure a safe and professional work environment. Requires SECRET clearance or higher. Nemean Solution is an equal opportunity employer and promotes a fair and safe work environment. All qualified candidates will be reviewed, interviewed and considered for this position. Merry Christmas and Happy Holidays from the Nemean Solutions Team!